You know that pretty pink party dress that your 4-year-old cherishes? By all means, do not under any circumstance put her in it for art class. Sure, she looks cute now -- but, fast forward two hours and she'll be running to your arms, crying over the blue and red tempera paint splatters that Johnny got all over her dress. Spring-boarding off of the "don't let your child wear her favorite outfit to art class" lesson, here's another piece of knowledge that I found out the hard way -- washable paints aren't always quite so washable. Case in point, I once wore white pants to teach in. While the red paint marks on the pants did fade, they were still noticeable enough to render the pants non-wearable. 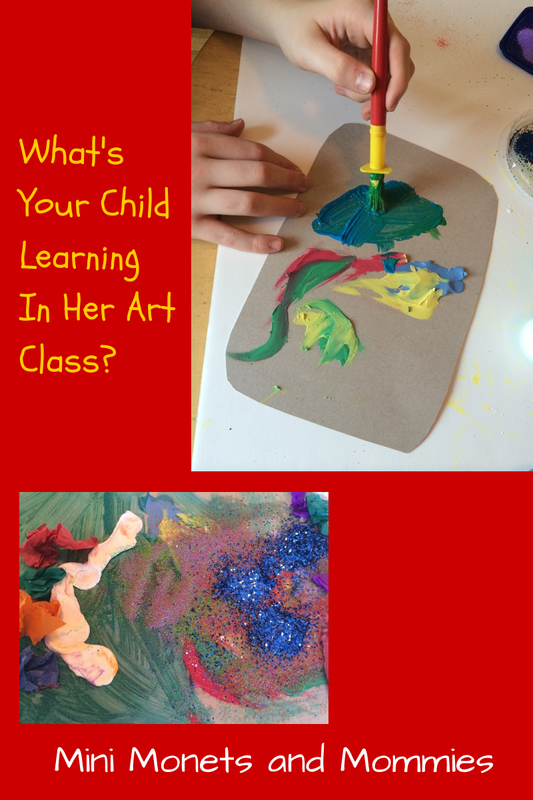 If your child absolutely can't stand anything art, forcing her into a class won't help. I even tried this one with my own son. Years later he still remembers how I forced him into art camp. We can't stand coloring books and "product" based projects. Please don't tell us arts educators about how your precious little Janey spends every night coloring in the lines so neatly. We're likely to roll our eyes behind your back and tell Janey that she should stop coloring in the lines. Immediately. Art class does not equal project for grandma's birthday. Your young child is exploring art processes, and shouldn't be going to class simply to make cute gifts for family members. Don't get mad or complain when she comes home with a handful of abstract-looking clay masses, scribbles or Jackson Pollock-esque paintings. If you're looking for a way to have your child make "something" to show just how artsy she is, try one of those paint-your-own pottery places. It's ok to ask. Did your child make the coolest thing ever and you want to try the process at home? Ask the teacher what to do and what materials you'll need to do it. Before you send your mini Monet off to art class, think about this list (although it's entirely not exhaustive) and make the most of your child's artsy adventure. Here's to not coloring in the lines. My son can't stand to color in coloring books. Thank you. I love the idea of letting kids have the freedom to create on their own.